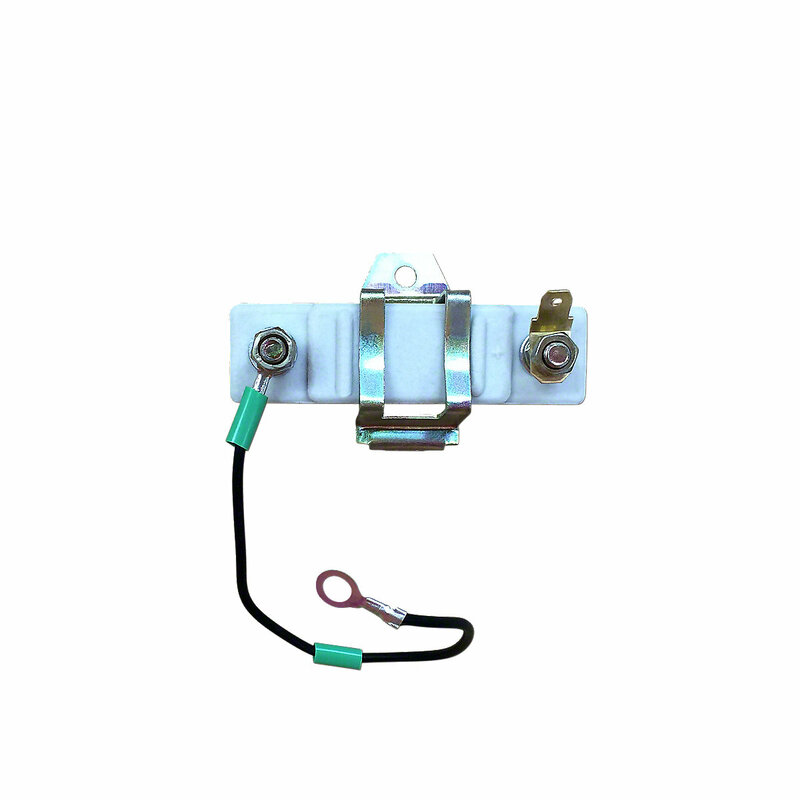 12 volt voltage resistor for massey ferguson and massey harris. 12 Volt Voltage Resistor For Massey Ferguson and Massey Harris. 2 Terminal Style, Reduces Voltage to 4 OHMS of Resistance, Used To Step Down 12 Volt Battery, Limits Voltage To Coil When Using 12 Volt Battery, 1.5 OHMS On 6 Volt Batteries to 4.0 OHMS For 12 Volt Battery.